Have you ever looked closely at the tread of your tyre? You should do this regularly as a minimum tread depth of 1.6 mm is required by law. If it is below, you commit an offense and - even worse - endangering yourselfs and other road users. Because the tyre tread influences the handling. It is adapted to the prevailing weather conditions in the respective seasons both at summer and winter tyres. Therefore, the tread of summer and winter tyres differs. In summer the streets are either dry or wet and the temperatures are usually beyond the 10-degree mark. This presents other challenges to the tyre than cold, ice and snow. Thus, the rubber compound of a summer tyre is comparatively hard and the tread pattern has mainly longitudinal grooves, in which the water is collected after a downpour. It is then transported away via transverse grooves. Together with wiping edges of the tread blocks they will reduce the risk of aquaplaning. Winter tyres are softer than summer tyres, so the rubber compound remains flexible even at low temperatures. In addition, the tread blocks have hundreds of small incisions, the so-called sipes. They interlock with ice and snow. This improves traction and reduces the braking distance, which is also influenced by the tread depth. The 1.6 mm prescribed by law are a bare minimum and significantly increase the braking distance compared to a new tyre (with about 8 mm tread depth). Experts recommend a tyre change already at 3 (summer tyres) or 4 mm. 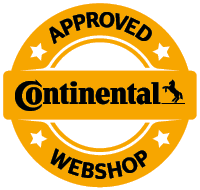 You will find new tyres on mytyres.co.uk. The minimum tyre tread depth in the UK and many other countries is 1.6 mm. This is not just a number, but a legal requirement. Experts believe that this minimum tread depth, however, is too low. They recomment a minimum of 4 mm as winter tyre tread depth and a summer tyre tread depth of 3 mm. But how can you measure the tread? Many modern tyres have a tyre wear indicator. If not, you can also easily measure the tread depth. The edge of a coin is approximately 3 mm wide - if it is not visible during the check, the profile is still ok. Using a tread depth gauge is more exact. The tool is available as mechanical and digital version. Professionals such as workshops use the so-called laser triangulation to measure the tread depth across the whole tyre. It is integrated in the floor and the vehicle rolls over it. Even toe and camber settings can be checked this way. A sufficient tread depth is useful not only for legal reasons, but also relevant to safety. In the grooves the water is collected on the wet track and transported away from the tyre. This prevents aquaplaning. The many incisions in winter tyres interlock with snow and ice. If the tyre is worn, the traction reduces noticeably. 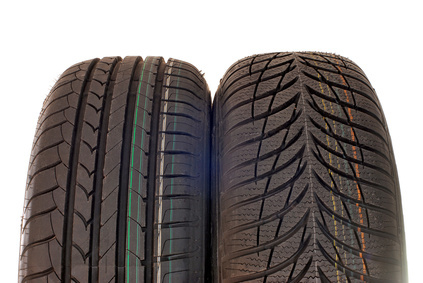 Therefore check the tread depth regularly and buy new tyres on mytyres.co.uk at the right time.